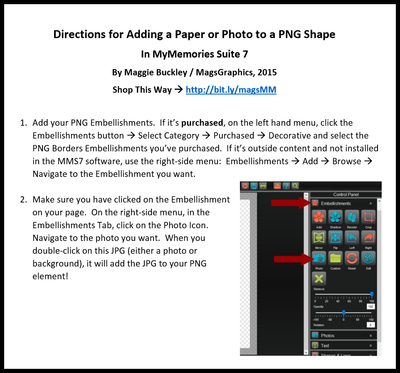 PNG Border-Makers are for use in MMS7 where you can now add any photo or paper to a png image. Complete directions on how to do this are also included! Be sure to check out Sets 1 and 2 as well.